As Father’s Day—an essentially Western-style holiday—gains popularity in China, more people here are looking back on their relationships with their own dads, revisiting at times difficult memories. On Sina Corp.SINA -1.13%’s microblogging service Weibo, thousands of Chinese commiserated this week about a common childhood experience: getting beaten at the hands of their pops. “I can’t even count the number of times I got spanked [by my father],” wrote one blogger, counting belt, brooms chairs among her dad’s weapons. Corporal punishment is shunned by many parents, especially in the West. But in China, even today, it is often considered an acceptable way of teaching kids a lesson. Researchers at the Hong Kong Polytechnic Universityfound a decade ago that “Chinese society has little awareness of child abuse as it is known in the West.” While statistics are hard to come by, a 2012 Beijing Times surveyat a school for migrants in the capital found that out of 200 students, only one child said he or she had never been beaten by a parent. 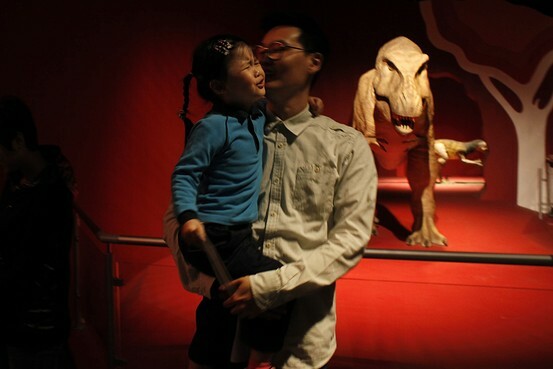 The Chinese notion of guan, roughly meaning “to control” in English, underpins how parents here react to their kids, according to Ivy Wong, a psychology professor at the University of Hong Kong. The focus on guan in China, she said, is thought to stem from Confucian traditions that emphasize discipline and obedience. By contrast, she said, Western parents are more likely to choose milder forms of punishment for children, with some countries in the West having legislated against parents hitting children. Such laws may make sense given how physical punishments can damage a child’s psychology. Children who get spanked are at increased risk for mental illnesses such as depression, are more likely to exhibit violent behavior themselves and have strained relationships with parents, said Ms. Wong. Traditionally, parents in China have felt compelled to be especially strict, thanks in part to the desire to ensure their only child succeeds in life. But these days, some modern-day Chinese dads are changing their parental attitudes, with some growing even more relaxed in discipline than Western parents. This past year, a reality show titled “Dad, Where Are We Going?”—which features celebrity fathers and their sons working together to succeed at different tasks such as cooking—became a big hit in China. Separately, a surveyof 500 Chinese dads by communications company JWT last November found that many don’t even want to scold their kids. Instead, Chinese fathers said playing the family chauffeur was their most important role, compared to many of their American counterparts, who said discipline came in first. Among the memories that users recalled from their childhood on Weibo, though some were bitter, many said their punishments were a form of parental love. “To beat is to care, to scold is to love,” read one comment. As for the Chinese woman who suffered strikes from her father’s belts, brooms and chairs, she lamented the passage of time, writing that she still loves her father very much. “Slow down, time…I don’t want to see [my father] grow old,” she said.